FINALLY! This post was delayed for a bit, but I finally got it up. I did it!!! I finished my first 10 miler! My longest distance yet. All the training, pain, sweat, and tears were ABSOLUTELY worth this moment right here! This moment meant everything to me. 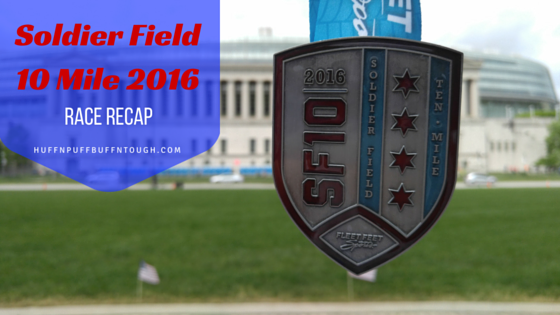 I kicked off my Memorial Day Weekend at the Soldier Field 10 Miler on Saturday, May 28th. I had a good race for the most part. Like always, I hit a wall a little after mile 6 and started getting severe muscle cramps in my quads, calves, and feet. 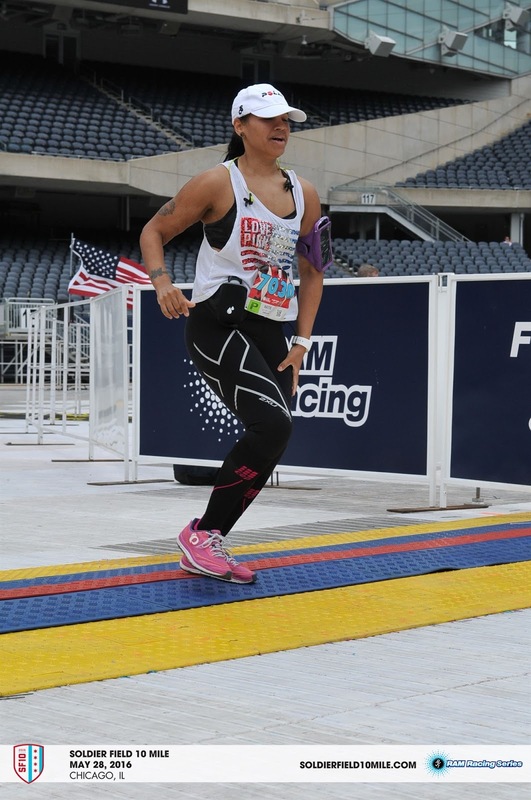 I have tried several recommendations given to me like salt pills for my electrolyte levels, applying Icy Hot to my legs before the race... none of it helped. I don't deal with muscle cramps as much during my training runs, but always on race day. I don't think I am doing anything different, so I am not sure why it's happening. These cramps have caused me to step aside on the course and stretch it out and sometimes that just made the cramp worse and the muscle even more angry with me. From miles 6-10, I was stopping every half mile or less to stretch every time a cramp came. I walked most of those miles as well because I couldn't fully run and the only time when I set it all aside and ran was towards the finish line after I entered the stadium. 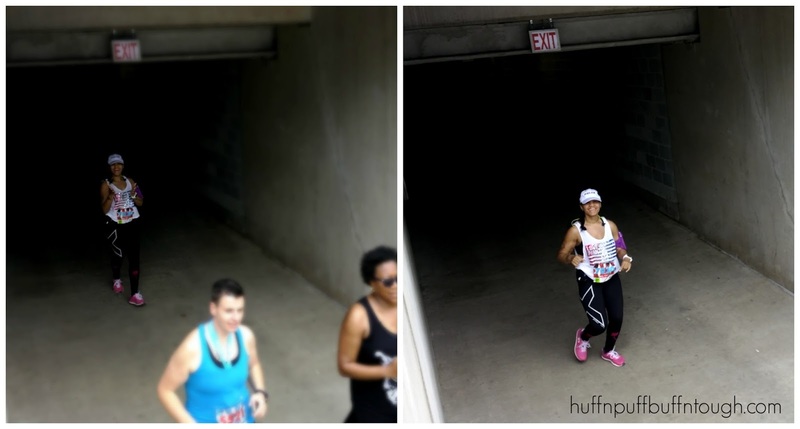 It was pretty darn awesome going through the player's tunnel and out onto the field to the finish line. That is a moment I will never forget. Running through the player's tunnel and out onto the field towards the finish line. 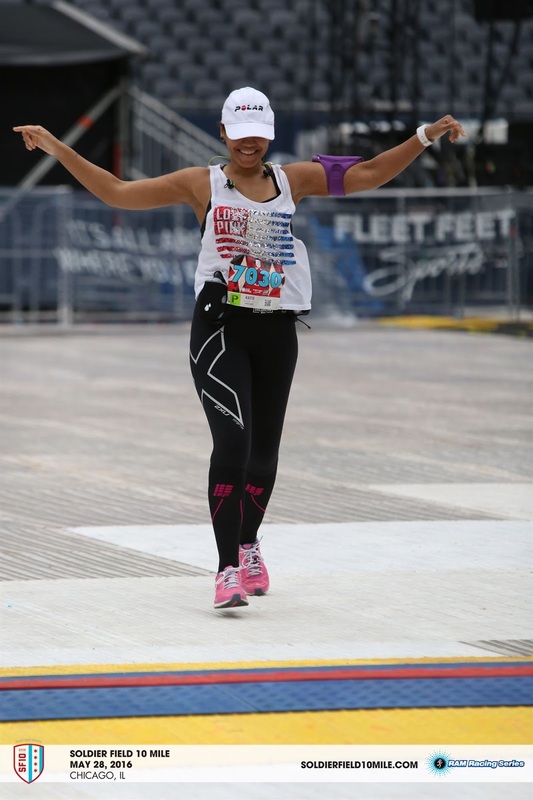 There were a few things that I disliked about the race, but since this is not an official race review and just a recap of my race, I won't go into much detail about it. I did not like how the field was covered up. The 50 yard line, which was our finish line was covered because of Beyonce's concert. There were not enough aid stations, especially between miles 6-9. There was only one between those miles. I can tell a lot of people, including myself were struggling between those miles because of the lack of aid stations and the weather made it worse. It was hot! I still can't believe I went this far outside of the city ON FOOT! Holy cow! The end of my training was tough and very emotional. I was frustrated, in pain, and my personal Facebook news feed had been a whirlwind of bad news for the past two weeks during the end of my training and it was really starting to affect me as I was already emotional to begin with. Everyday, I was reading horrible news from people on my list about something bad that has happened dealing with death. My news feed was consumed with that topic. At that time it was making me very nervous and full of anxiety about life in general. This went on for two weeks, everyday! It was starting to scare me. My friends list is very small with less than 300 people on it, so as you can see... I was pretty freaked out. My heart was very heavy. With that being said.... I dedicated my run to a lot of people. To all those that have lost someone recently, to those who left their families to fight for our country and to the families who are trying to make it through, to those that have died for our country, to all those who serve our country, to those who can't run, to my family, to my loved ones who are no longer with me physically, but will always be with me spiritually. Life is precious, your loved ones are precious. Don't take anything for granted. Live your life to the fullest. During that 10 miler, I ran for reasons bigger than myself. I am proud! I wanted to take a minute to thank those who were cheering for me, those who stopped on the course to ask if i was okay and if I wanted to tag along with their groups, the serviceman who gave me my medal and placed it around my neck after taking off my hat and told me that I still looked beautiful, my family and especially my hubby who kept me company on my long training runs. Congratulations! I am so impressed that you set your goal and you did it!!!! i've done the 5K but a 10 miler??? Wow - your my hero. I admire people who can do races like this. I am pooped within a mile usually! Congrats! Thank you! 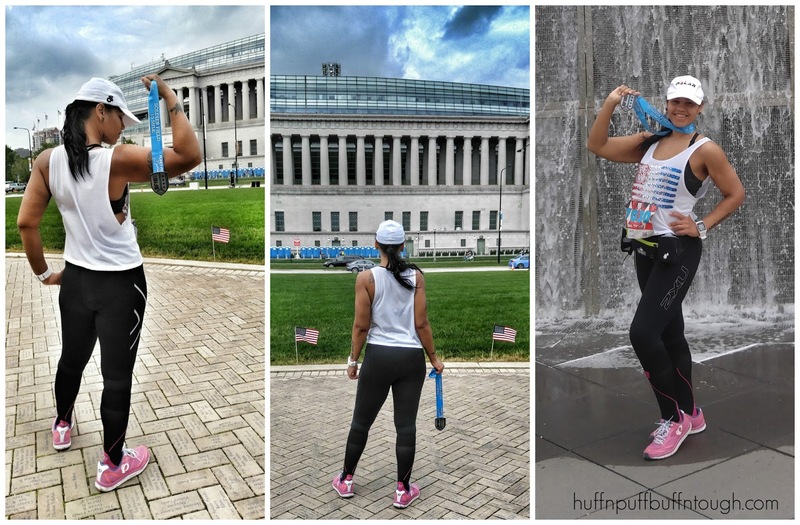 When I first started running, I couldn't even run for 30 seconds! Congrats girl. 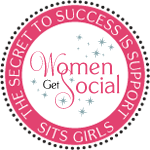 way to go on setting a goal and reaching it. So inspiring. 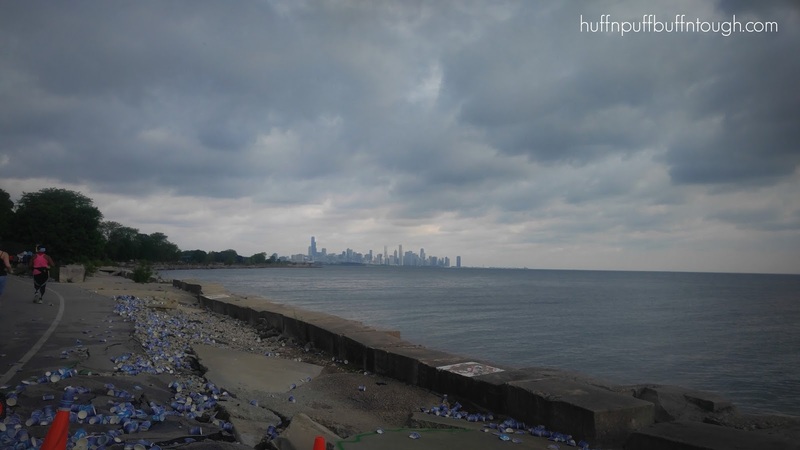 I used to live in Chicago and loved running along the lake. did my one and only marathon there too. I love running along the lake any chance I get when I am in the city. It's very relaxing. I'm hoping to do at least one marathon in my lifetime. You go girl! Congrats on your 10 mile goal. I'm sure you were so ecstatic! Very! Thank you so much! Congratulations on your first 10-miler! I am training for my first 10k this year and love reading about other runner's experiences. Yes, life is short and I am living it to the fullest. I blog all about Disney and the Pulse Night Club shootings were too close to home for me. Thank you! Good luck on your first 10K and be safe! That would be so scary dealing with a tragedy like that, so close to home. You'd never know by your photos that you hit any walls. You look like a professional! 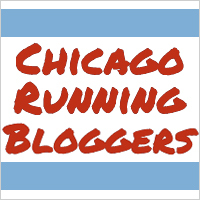 I always love reading other people's running experiences. It's such a mind game so it's great to see how others overcome the miles. AWESOME JOB! Thank you! I hid it well until I got to the finish line that is... haha. On a positive note, you finished!!! Great job girly!! !